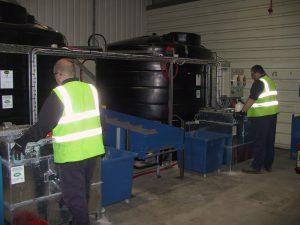 Tuffa was approached by Chubb Fire & Security Ltd to design and build a storage system for redundant fire extinguisher foam to be stored and mixed with water and a flocculent before disposing into the sewage system. 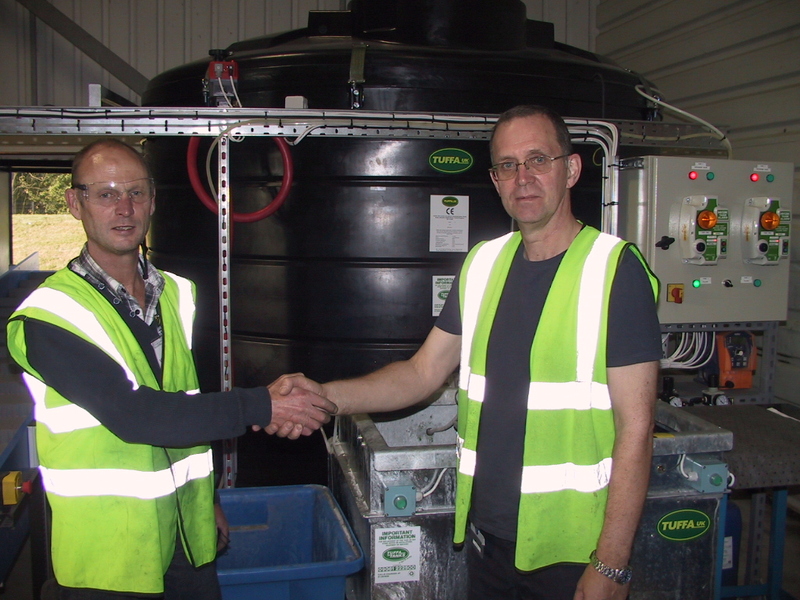 The client required an automated extinguisher emptying system, and Tuffa’s design team developed a bespoke automated de-gassing and emptying system. This automated the production line for Chubb enabling faster, safer and a more efficient redundant extinguisher disposal. Mr. Peter Buy, the Chubb production line engineer stated “I would like to take this opportunity to thank all at Tuffa for the thought and hard work that has gone into this project. We, at Chubb are extremely pleased with the finished project which is far better than we had originally conceived. Prior to Tuffa taking on this project I had approached 3 other specialist companies with regard to doing exactly what you have achieved. All of them said it was not possible, or could not do it.